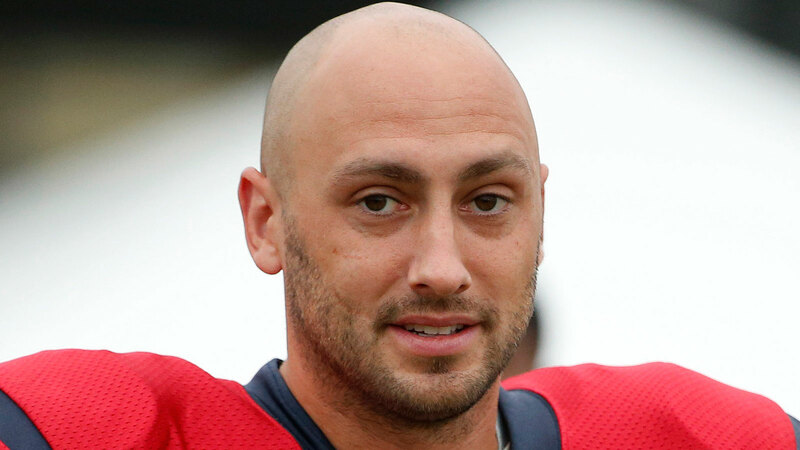 Monday’s decision to name Brian Hoyer the Texans’ starting quarterback was met with approval from teammates who’ve been impressed with the way the veteran has taken charge of team during his short time in Houston. “He’s a commander,” wide receiver DeAndre Hopkins, per the Houston Chronicle. “He’s the chief of this offense, and he handles himself like that on and off the field. When he gets in the huddle, he’s the leader. Hoyer, a seven-year veteran who signed with the Texans as a free agent in March after two season with the Cleveland Browns, beat out veteran Ryan Mallett for the starting job. Wide receiver Cecil Shorts, who caught a 57-yard touchdown pass from Hoyer in Houston’s preseason opener against the San Francisco 49ers, was equally optimistic about the Texans’ chances with Hoyer as the starter. Leadership skills aside, Houston’s receivers say they also have no concerns about Hoyer’s arm strength based on what they’ve seen. “I don’t question anything about him, about his arm strength, or about his ability to make plays,” Hopkins said. “Just watching film on him in Cleveland, I want to say he had a ball about 70 yards that he threw, or maybe it was close to 80 yards.